Maradankadawala is crossed by almost all travellers visiting the Cultural Triangle, as it is located at A11 road to Polonnaruwa branches off from the Anuradhapura-Kandy road A9. It’s unpropossessing ribbon-built village. However, it’s the gateway to the archaeological site of Manakanda 4 km further west. Even closer is a typical cave temple in only 1.5 km distance to the west, which can be rached via a cul-des-sac branching off at the northern end of the village. The cave temple with a gaudy image house is located at the northern end of the Pansala Wewa, which translated to “temple tank”. The name of the temple is Gallen Vihara, which simply means “rocky temple”. 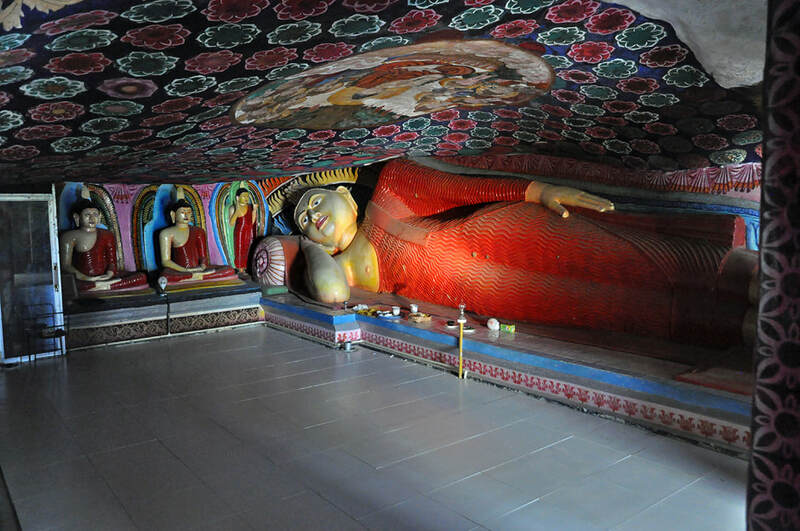 The Gallenvihara cave has a large sleeping Buddha and modern paintings.